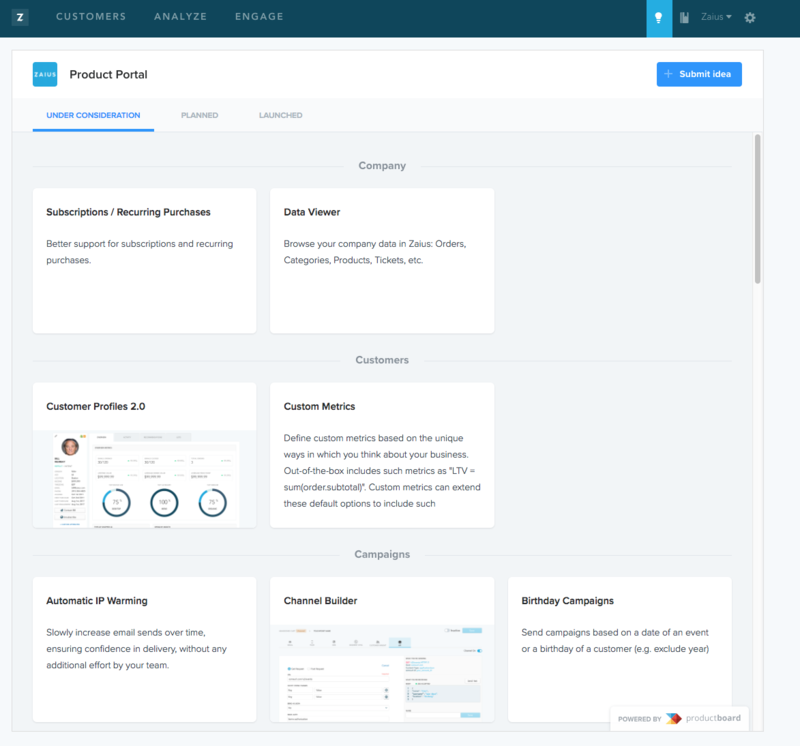 A fresh new view on the campaigns page that puts your most important metrics and campaign traits together in one place. You can now submit and provide feedback for product ideas! Unsubscribe a user globally from all email with a single click from the customer profile screen. We have begun updating all the tables in Zaius to a cleaner & easier to read design. Stay tuned for more UI improvements in the near future! The account settings gear has moved to the right of your account name.